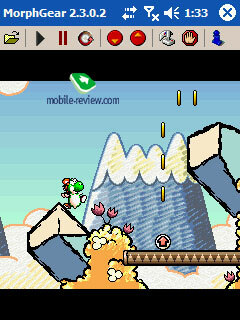 From the very appearance of pocket PCs games for them appeared as well. First those were plain logical games, and later more and more complex in realization. That's good if controlling the game with a touchscreen, but when hardware keys are necessary in active games, a problem appears. The PDA interface and ergonomics were not developed for games, that's why the set and disposition of the buttons is inappropriate for active games, the joystick is uncomfortable (if it is present).The PDA comfort in game playing varies from a handheld unadapted for games (like Sony TH55) to very comfortable game PDA like Dell X30. Game console emulators widening the range of available games (now you can play in almost any game developed by the humankind from the first consoles) even worsen the situation. The same concerns smartphones and communicators. And what should a keen game player who likes to have games "about" him always do in this case? There are several variants, let's consider them. 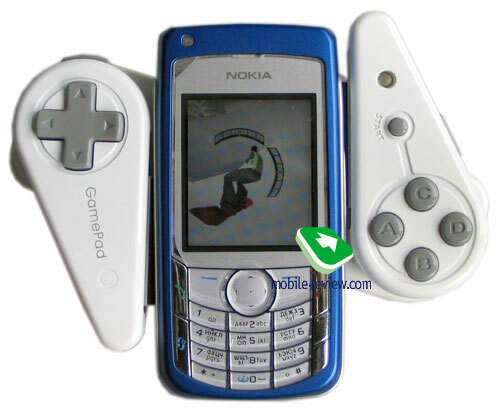 A device adapted for game playing equipped with a comfortable joystick. You will be able to play only games, for which there are enough buttons, and many games for SNES won't go, as they require active use of all the keys including side "L" and "R" ones. A special game device. 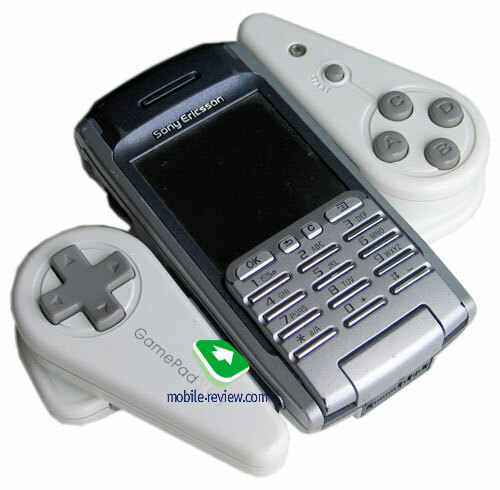 For instance, Nokia N-Gage, Gizmondo. The range is rather limited. Using wire controllers like PEGA-GC10 Game Controller for Sony and some others. But they are not massively produced now and unavailable in retail, they happened to be unclaimed on the market. So, this opportunity is mainly theoretical. 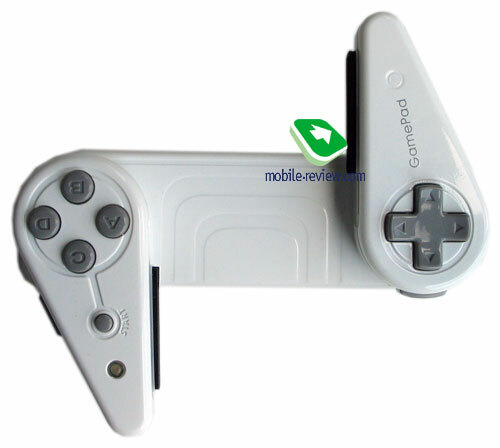 An American company of ENR Technologies decided on improving the situation by producing a wireless game controller compatible with the majority of smartphones and Pocket PC PDAs (that is an ODM solution by a Taiwanese company of Chainpus Technology). 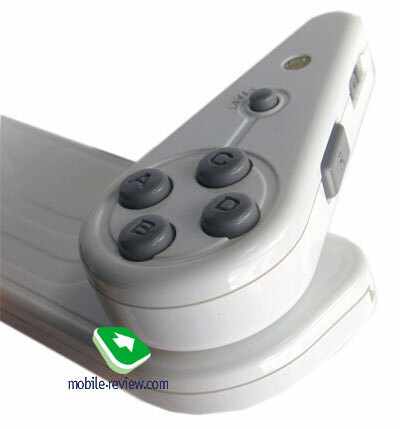 Before, the company was known for making various wireless accessories for PDAs, but this very game controller is the most efficient for the company, and even a special site is devoted to the product. Since, now that is a unique device having no copies. Before passing to its capabilities, let's touch the appearance and ergonomics. When closed, the device represents quite a heavy bar (130 g) with the size of 145x44x30 mm. In this mode you can't use it. You need to slide right and left parts till you hear a click (otherwise a spring returns it back). 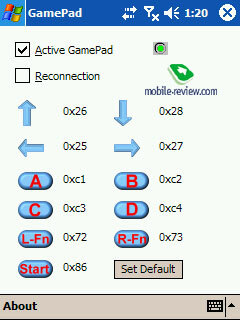 Then place a PDA or a smartphone in the center of the device, even soft protectors and press an adjustable button on the bottom of the controller. 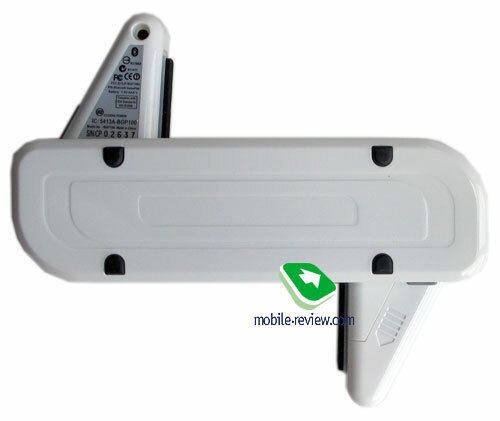 The gamepad holders will clasp the device, and the only thing left to do is fix the position with a slider on the top. We should mention here not all the smartphones and PDAs will suite the center of the joystick - the necessary width is less than 59 mm. However, if your PDA can't settle in the gamepad, you can play with it anyway - do not use firm fixing, and then the variant is not mobile. So, the device is fixed, I should say the construction I got seems reliable with increased size, even at strong shake the device doesn't fall out. Several words about compatibility. 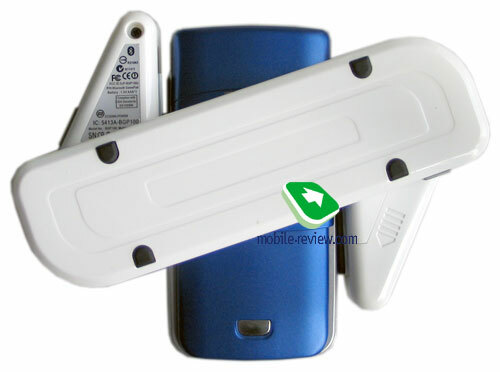 The manufacturer clams compatibility with the following operating systems - Nokia Series 60, Symbian UIQ, Windows Mobile 2003 for Pocket PC (both integrated drivers by Microsoft, and Broadcom), Windows Mobile 2003 for Smartphone, though Palm OS is not supported. The tests showed it was really true, even devices not included into the compatibility list are appropriate. The thing still necessary is a corresponding operating system. The connection is established very simply and fast. Just install the drivers on your smartphone/PDA, turn the gamepad on, place the only tick in the controller settings, and no coupling procedure is necessary. 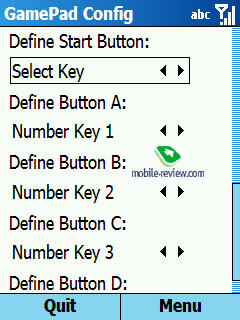 However, you'll have to restart the smartphone/PDA, otherwise it understands no command. Now buttons are adjusted. So, everything is adjusted, connected, and ready to play. 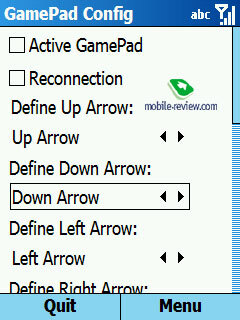 We also should mention the joystick can work with interfaces besides games. The first feelings of the joystick recall memories of SNES (Super Nintendo), the comfort and button disposition are similar, and the only thing lacking is a "Select" button. Playing games is easy, the smartphone reacts on the joystick pressures almost in no time (though, an initial slow down at pressure in you PDA will tell on the Bluetooth joystick work as well). In general, the joystick is comfortable. The body plastic is cheap and glossy, only two colours are at your disposal - black and white. We tested the following devices FS Pocket LOOX 718, Qtek S110, Qtek 8200, and Nokia 6681. 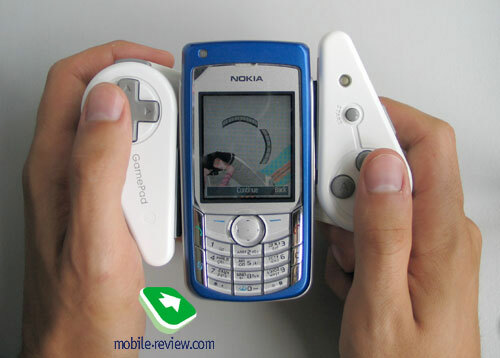 And only the last device revealed problems - when launching a game, the device refused processing commands of the joystick, and unfortunately, many old games fail to work in new Nokia smartphones. The game controller BGP100 Bluetooth by ENR Technologies is one of the many still not widely tested applications of Bluetooth technology. 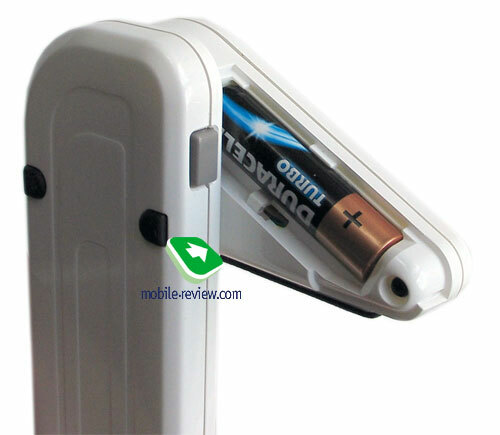 It widens game capabilities of smartphones and Pocket PC PDAs. 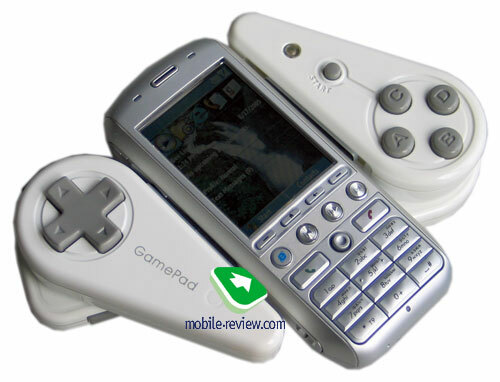 The majority of today smartphones are compatible with this controller. The advantages are surely present. They include heavy weight of the construction (130 g and additional smartphone's weight), short battery life - only 3-4 hours, then you'll have to either recharge your AAA battery or set a new one. That would cause discomfort for very active players. With the price of 80-100 USD and no rival devices the BGP100 has all the chances for success among users who prefer games on PDAs/smartphones, are interested in console emulators, and spend not more than several hours a day playing. Those, who like playing little won't think about buying it, and fans gaming for many hours a day would more probably prefer a separate mobile console. Weight: 130.2 g (including AAA battery), 115 g - without it.